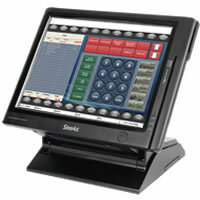 12.1" color touch screen, Reliable ROM based operating system, scanning, 40,000 PLUs, add items on the fly without a PC, expandable memory, graphic logo printing, six 232 ports standard, and program backup via SD memory card. Featuring a hybrid design, SPS500 series has combined fast and simple ECR keyboard entry with an intuitive 7" touch screen operator display.Scanning with add on the fly ability. Raised keyboard, 60,000 maximum item capacity with full memory, PCI complaint credit card option and program backup via SD memory card. 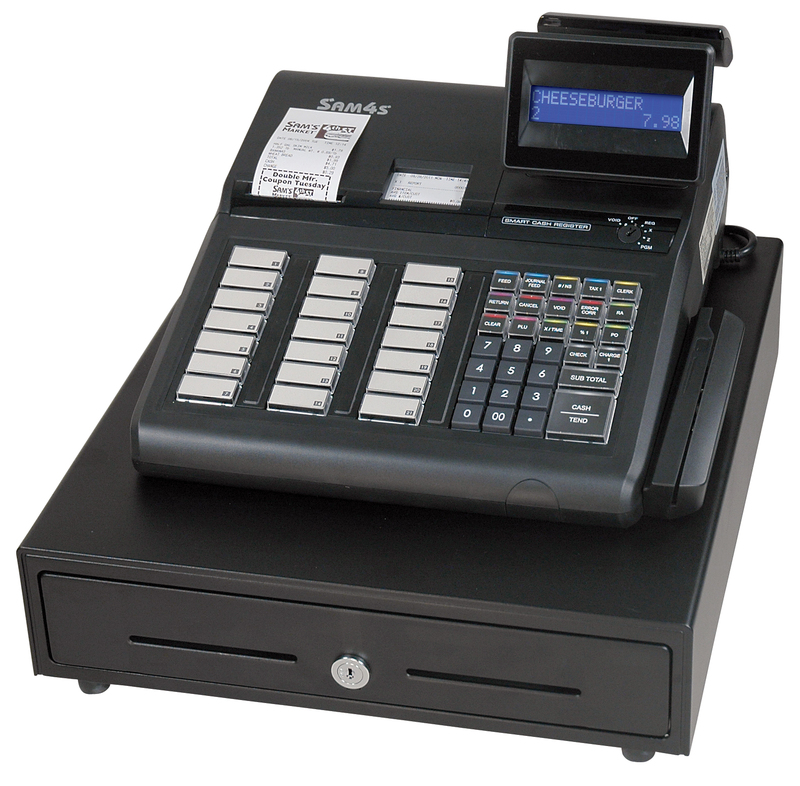 Fast and quiet thermal receipt and journal printer, capable of logo on receipt, 2 line backlit LCD display, raised keyboard with 15 programmable PLU buttons expandable to 40, and 2) RS232 port for peripherals like scales or a PC interface. Fast and quiet thermal receipt and journal printer, 2 line backlit LCD display, raised keyboard with 21 programmable PLU buttons expandable to 78, and 2) RS232 port for peripherals like scales or a PC interface. 3500 items and add on the fly scanning. 12 Department Raised Keyboard, Two RS-232C Ports, Drop-In Paper Loading, Graphic Logo Printing, 2-Line, Backlit Display, Electronic Journal, 500 PLUs; 60 PLU Category Keys.